Hi lovely peeps!! So i popped into boots and with my points i purchased a lovely toning spritz. 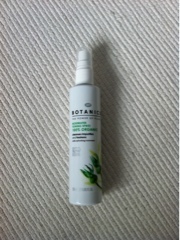 Botanics rosewater toning spritz! I love the scent of rose and it being 100% organic I thought I would give it a go. Its a light spray that "cleanses impurities and freshens", and I agree. This sprays on really well, doesnt squirt loads like some! Its very refreshing and when we had the humid weather I popped this is my handbag and used this to refresh my face, and boy am I glad I did! When taking off makeup I found it hard to ensure all of it was gone, so had to do this part of my routine twice, which was a bit annoying but I am lazy!! The spray is lovely with a light fresh scent that you can use not only to tone but to refresh! Its good value for money for £3.33 as was reduced, normall £4.99. Would recommend you give this a go! I love anything natural and organic! It looks like a good product to me, with a fair price! Sounds like a lovely alternative to Caudalie Elixir. Great post.